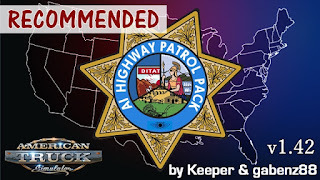 American Truck Simulator State Highway Patrol has been updated to version 1.42! * Data files have been edited to ensure the mod works in ATS 1.32 without removing any new features added by SCS in the mean time. 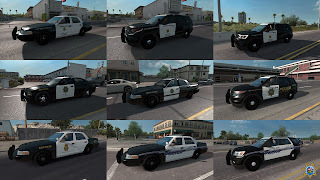 The cars added by this mod do not have operational flashing lights at this time, but otherwise are functional. As of mod update 1.42, parked police car data are not modified, because the game's default data files now properly put the correct state or city's patrol car in parked locations. 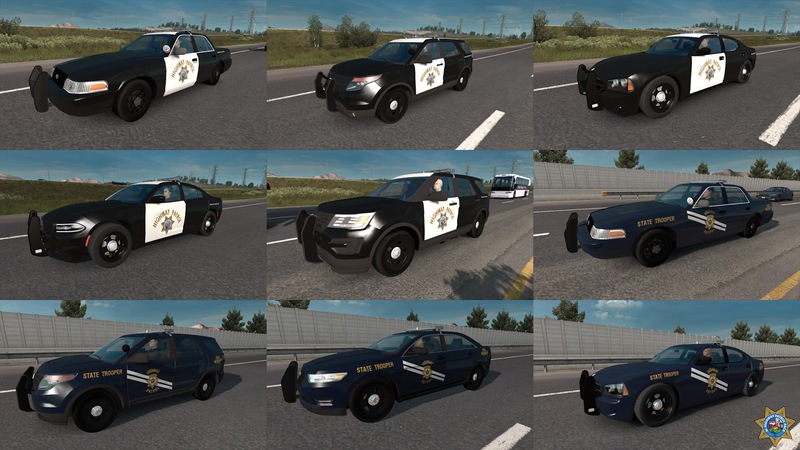 As of ATS version 1.29, the base game now has separate state highway patrol vehicles, which was the original purpose of this mod. 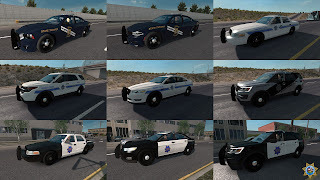 However, this mod still provides many more city police cars, as well as a wider variety of models for state highway patrol in California, Nevada and Arizona. This version of the mod does not suppress default cars anymore, for the moment. 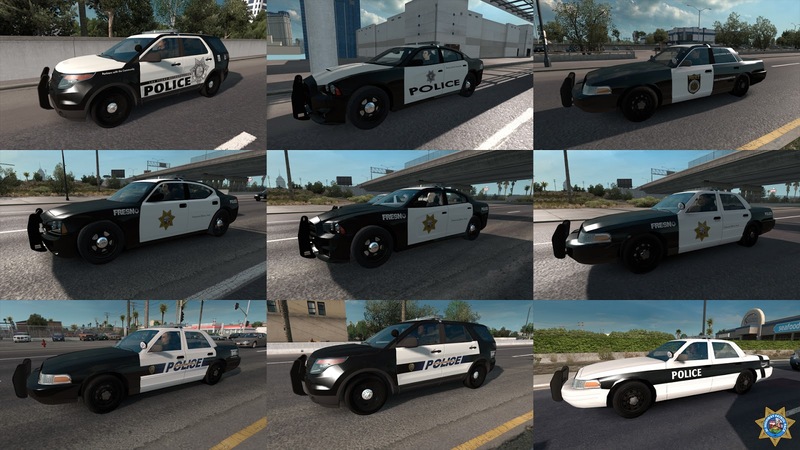 So you may see generic police in cities in addition to any specific city police liveries. 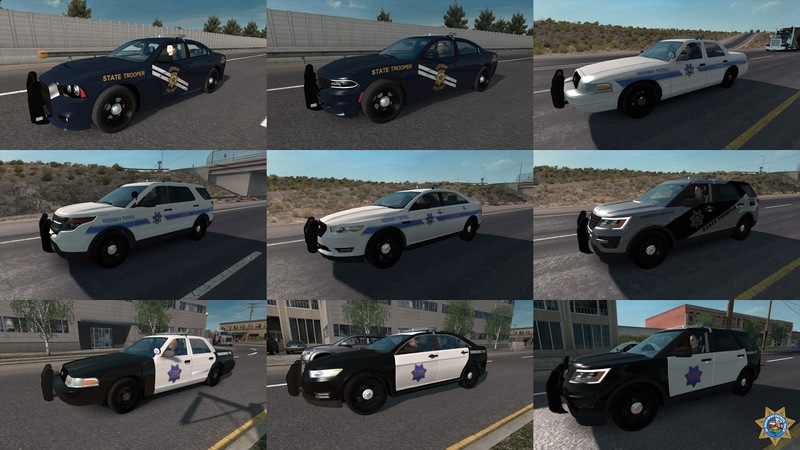 This is necessary because of how the game now treats police and highway patrol as separate entities -- the only way to have any police coverage in cities with no city police livery available is to allow generic cars to spawn in every city. 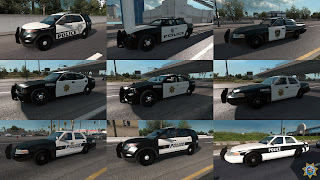 (However, SCS did add some city variants to the Ford Taurus that this mod didn't have, so there will be some more variety.) 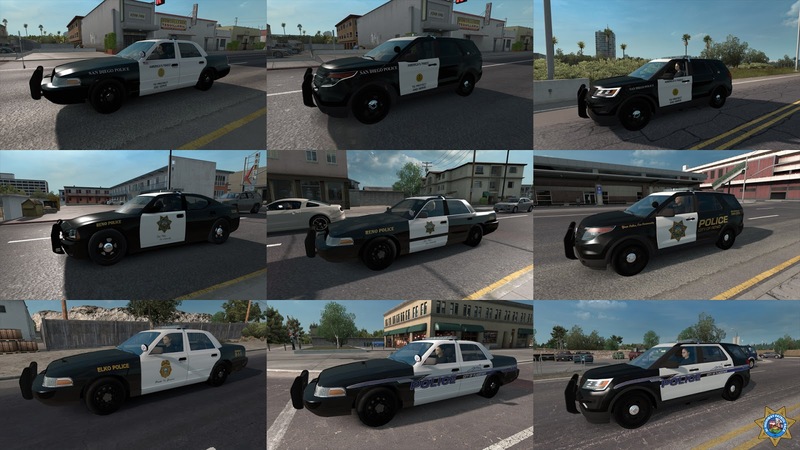 The alternative is to undo the new feature, and have highway patrol spawning in cities like they used to. So, yeah, there certainly are improvements that can be made, but for now it's mostly working -- no errors, and the right cars are showing up where they should as far as I've been able to tell. 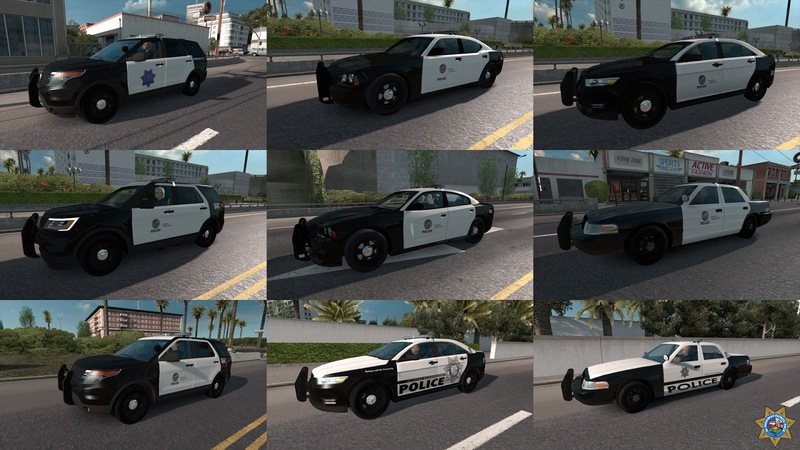 Let me know if you are noticing a lack of a city police variant that used to be present. And if you come up with any improvements yourself, do share so we can add it to the mod; there's no reason this can't be a community effort. Any future new designs or models are up to gabenz88; he's the model whiz behind this. 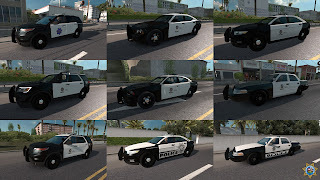 ISSUE: According to user reports, it seems the flashing lights don't work on the mod's cars anymore. SCS changed the flashing light system on their default cars, so probably there is no backward compatibility. Hopefully someone who is adept at model editing can fix this. It would take me days of swearing at Blender to figure out how to do it. NOTE: If you did not download this from url then you probably have an old version.  subscribe via the Steam Workshop.